Suites Giorgio is a 4* hotel located in Mexico City-Reforma area, Mexico. It features 30 rooms. Suites Giorgio is an excellent choice for extended stays in Mexico City. This hotel offers furnished apartment-style suites equipped with a full kitchen and a separate bedroom. 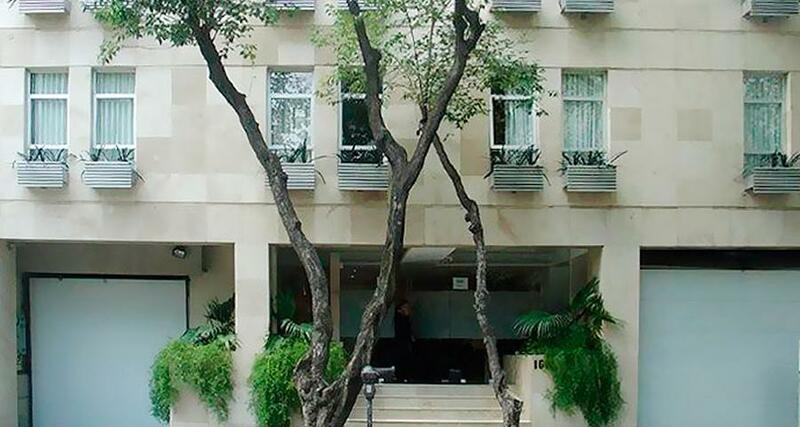 This hotel is just a short walk away from Paseo de la Reforma, one of the main avenues of the city. Guests staying at this contemporary and sophisticated property can enjoy a gymnasium, a business center, parking, and property-wide wireless Internet access. All of the accommodations have a safe, a desk, wake up calls and daily cleaning services to make your trip even more enjoyable.